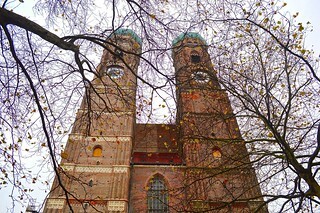 Frauenkirche Munich. An imposing church building with two towers you can see from all over the city. Love this building. This image is released under Creative Commons Attribution. If you use it, please credit www.staceymacnaught.co.uk.